The youngest kids in the park will have been threatened with having their scooter / skateboard / BMX taken off them by their parents unless they agreed to wear protection at all times. People who are good at skateboarding are less likely to been seen wearing pads, even when they’re grinding down a handrail risking their future procreative potential. These guys have fallen so many times that they know exactly when a trick is going wrong, how to disengage from the board, and bail out properly. Even on concrete, there’s a right and a wrong way to minimise injury when wiping out. That said, It’s clear that the young adult considers skateboard knee pads and other protective accessories to be restrictive of their skating freedom, and therefore a bit UNCOOL. But that’s not where we’re at, is it? we’ve got years of experience and wisdom on our side, and we’re no longer concerned with looking cool, right? That’s why we’re skateboarding long after our perceived skateboarding shelf life. The older skaters you’ll find totally padded and helmeted. They might even have other pads secreted around their bodies that you can’t even see, so fragile are they. Like a rare species of bird, you have to get up very early in the morning to catch them getting some skate park time, and approach them in a non-threatening way, or else they’ll be gone as quick as you can say ‘do a kickflip’. The old ones know how long it takes to recover from landing unexpectedly from a few feet up onto fresh, cold concrete. Some of them have spouses, jobs, and children to be responsible for. Stakes are high. Think of it this way: It might not look cool, but then neither does hobbling home with a hip fracture and concussion. But which pads are good for us old rollers? Why are some of them expensive and some cheap? Do I need elbow pads? Will you help me choose? Relax, calm down. I will help you. Here is the Old Rollers guide to pads. Firstly, there are pads that are designed for different amounts of impact. The board knocking into your knee while you ollie for instance is painful, but that pain could have been prevented by a simple knee pad. On the other hand, losing control on the coping of a large ramp and slamming hard with all your body weight onto your knee is painful however well padded you are, but some long-lasting serious injury can be prevented with the right padding. Let’s have a look at the cream of the crop, and then some less creamy ones. This works best on wood and shiny concrete, but is doable on most surfaces, providing the friction is low enough on the caps. The pad itself is made from Cordura i.e. very tough and durable, and has multi-layer EVA foam on and around the knee. 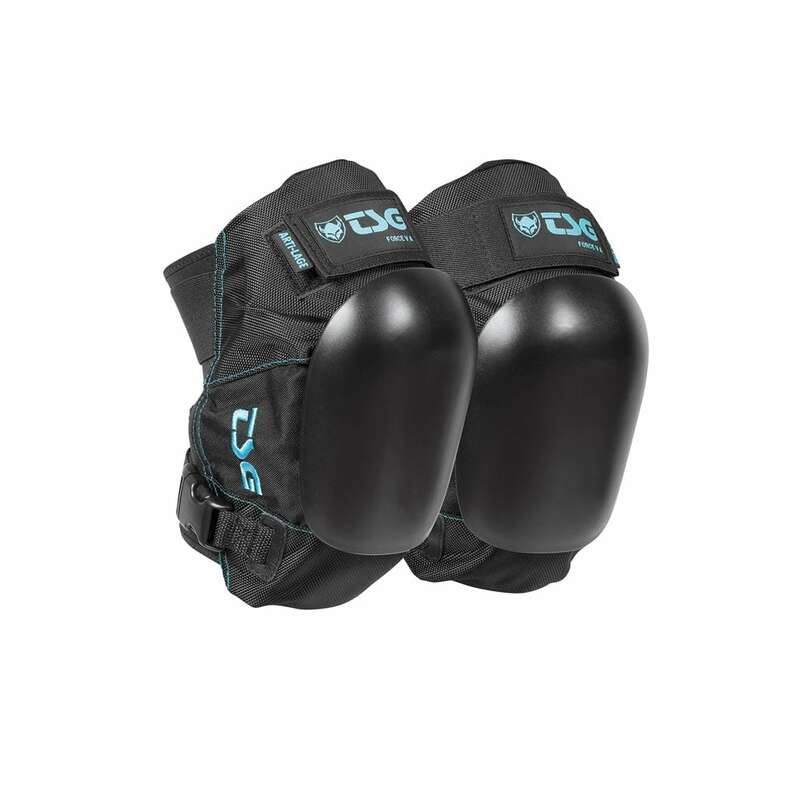 There is and anti-shift silicone print on the liner to stop the pads rotating around your knees on impact, and two adjustable Neoprene butterfly straps for security. The knee caps are replaceable, if you eventually knee-slide your way through a pair, and the whole thing passes the European standard for skateboard protectors. Essentially they’re among the best protection you can get for your knees. The only complaint we’ve heard from some users is that they feel a bit bulky when you first wear them. In my experience, that’s just something you get used to. There’s always a trade-off between bulk and impact absorption, and I think they have struck a good balance with the Force Vs. The 187 Pros are also a top choice among skateboarders, and have a strong following among the roller derby crowd too. They’re similar in style to the TSGs, but with the emphasis on minimising bulk. The caps are shorter, and are specific to the size that you order. There is a bit less padding than the TSGs, although that might be a plus for you. The fabric is tough nylon, so they’ll last a while, but the caps aren’t replaceable like the TSGs. There’s a trade-off between bulk and protection, and if you’re anticipating not falling down enormous transitions, then the less bulky 187s might be up your street. They’re definitely good at protecting your knees, really comfortable to wear, and will slide when necessary. 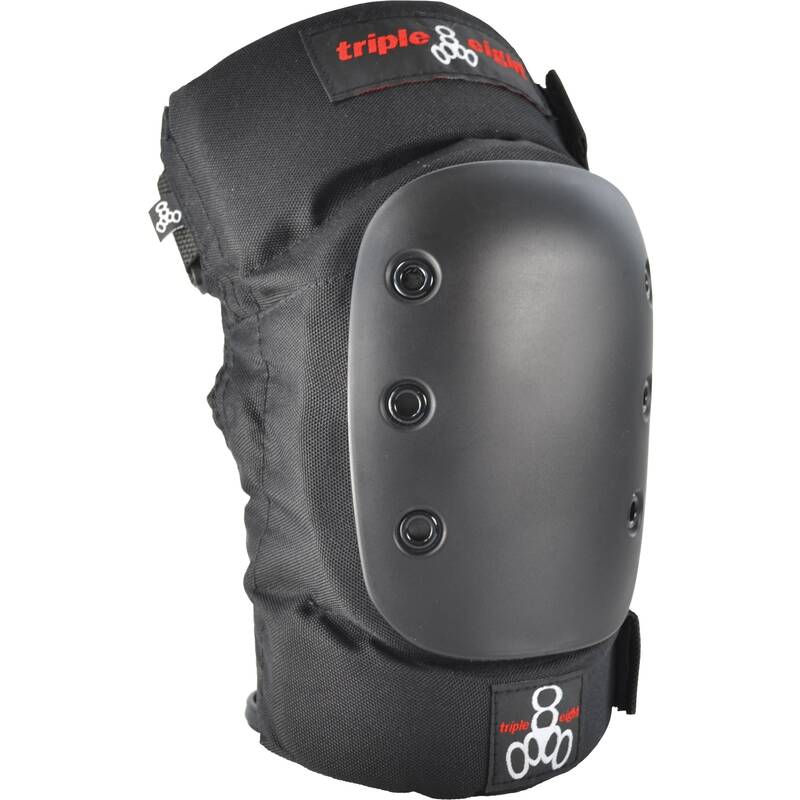 These are good, tough & durable kneepads, with a simpler design than the above pads, which is reflected in the price. The padding is heavy duty EVA memory foam, and the caps are attached with rivets. I haven’t personally had much experience with the Triple 8s, but they appear to be good value for money, offering a good balance of impact absorption and bulkiness. They seem to have less padding overall than the TSGs or 187s, but that might not be a problem if you’re looking to protect yourself against the odd knock to the knee or landing on your knees after having your board whipped from under you by a sneaky crack in the ground. 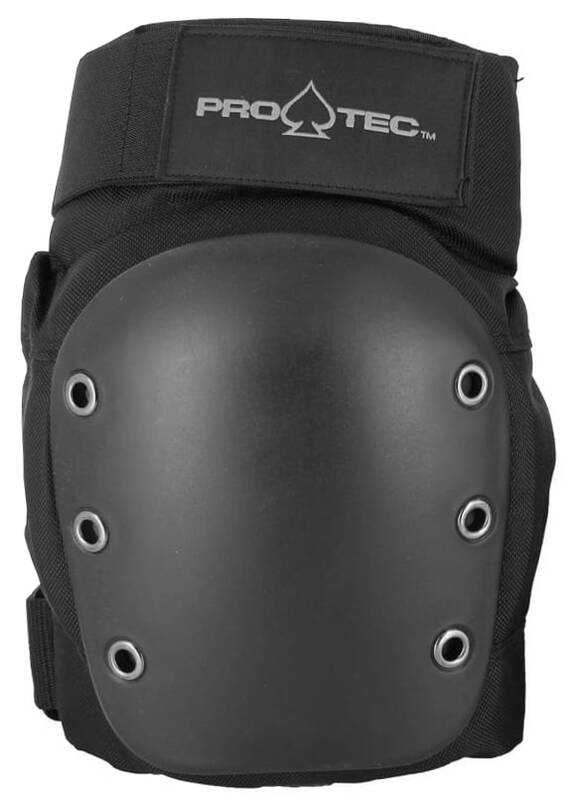 The Pro-Tec Streets are a much lighter, less bulky protection for the knee, and as such offer a bit less protection the the rest. They’re an affordable alternative, with fairly large caps and EVA foam knee cups. I have heard reports from skaters and Roller Derby enthusiasts that they’re prone to slipping around a bit, and also needing to be tight enough to start cutting off the circulation in your legs. That might me a durability issue though, they might start to go a bit baggy after prolonged use. The caps also aren’t as slidey as the more expensive pads, so knee-sliding down a large transition might not be an option in these. Again, I don’t have much experience with these myself, but a lot of skaters have reported getting some of these as an entry level, and then going on to buy some more expensive ones later. As you progress, your skills increase as well as your speed and height. – protecting your knees is definitely worth the extra spend if you can afford it.